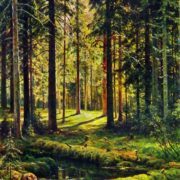 Ivan Shishkin was a Russian artist. 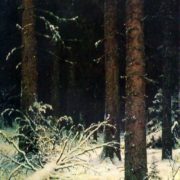 He was called the poet and magician of the forest, the forest hero, the king of the Russian forest, the old woodsman, etc. 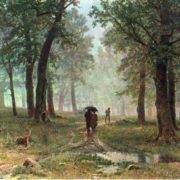 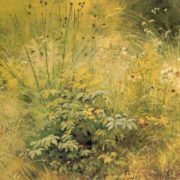 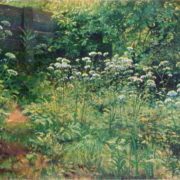 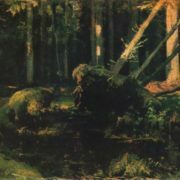 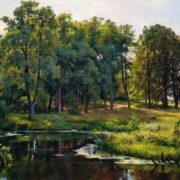 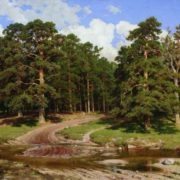 Shishkin was about 40 years old, when both his colleagues and spectators recognized him as the master of Russian landscape painting. 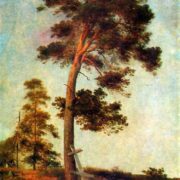 But there were years of hard work to achieve success. 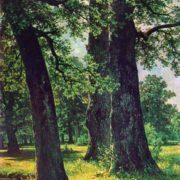 Ivan Ivanovich Shishkin was born on January 13 (25), 1832 in Yelabuga, a small provincial town on the bank of the Kama River. 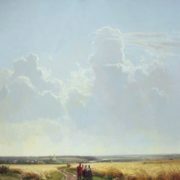 Here, the future painter spent his childhood and adolescence. 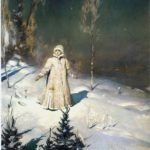 The father was very significant for Ivan. 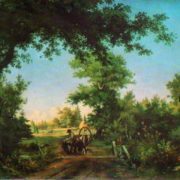 His father was a merchant and sold grain from a rented mill. 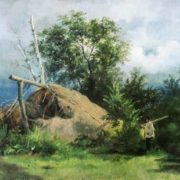 In addition, he was fond of archeology and history. 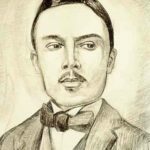 He wrote the book The History of Yelabuga, developed and implemented a local water system. 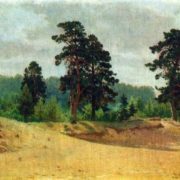 Ivan Vasilyevich Shishkin spent money on reconstruction of the ancient tower located in the suburbs. 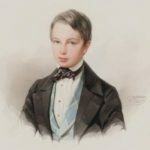 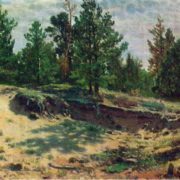 It is also known about his participation in excavations of the famous Ananyevsky burial ground. 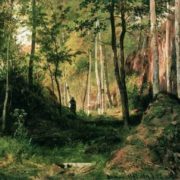 He taught his son and developed his interest in nature. 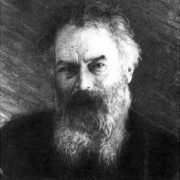 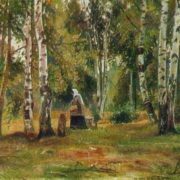 For several years Shishkin studied in Kazan gymnasium, but did not finish his studies, returned home and began to study drawing and reading again. 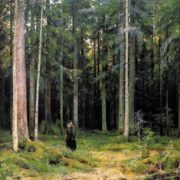 He was very attracted by the forest and could walk there for a long time. 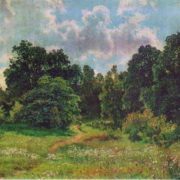 Four years later Shishkin received permission from his father and left for Moscow. 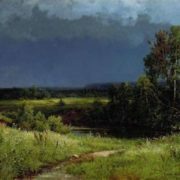 In 1852 Shishkin became a student at the Moscow School of Painting and Sculpture. 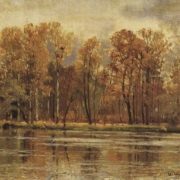 Immediately he went to the exhibition of Caucasian mountain views, where works by L.F. Lagorio and I.K. 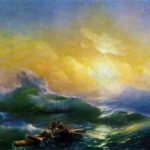 Aivazovsky were exhibited. 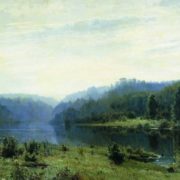 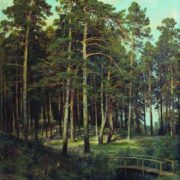 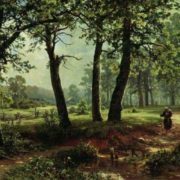 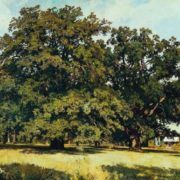 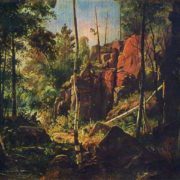 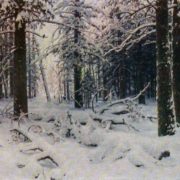 This exhibition only strengthened Shishkin’s interest in the landscape. 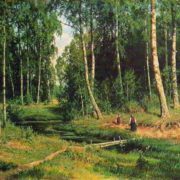 Shishkin drew a lot from nature in Moscow and the Moscow region, he copied Western European masters. 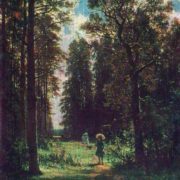 After graduating from school in 1856, Shishkin entered the St. Petersburg Academy of Arts. 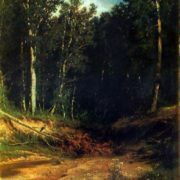 His main teacher was nature. 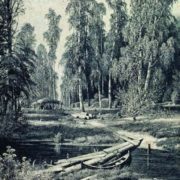 In 1857 Shishkin was awarded the Silver Medal. 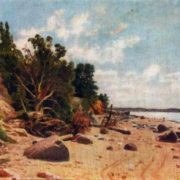 The future artist diligently worked in academic classes, but his favorite place was the island of Valaam, with its harsh northern nature, granite boulders and moss-covered centuries-old firs. 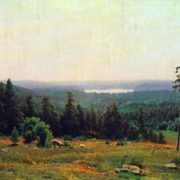 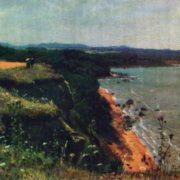 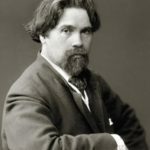 In 1859 he received a small gold medal for the picture View on the island of Valaam, which allowed him to participate in the competition for a pensioner’s overseas trip. 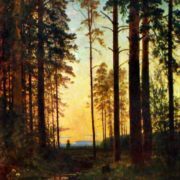 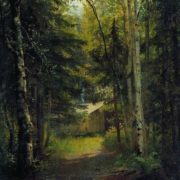 His painting On the island of Valaam, presented in 1860, was awarded a large gold medal. 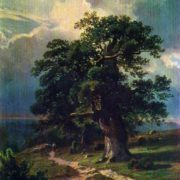 In 1862 Shishkin went abroad. 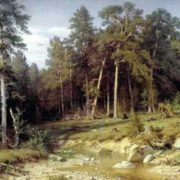 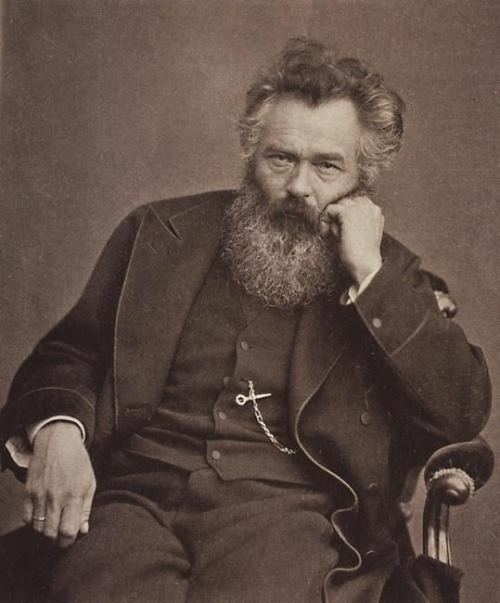 In Zurich, Shishkin worked in the workshop of a good painter and talented engraver R. Koller. 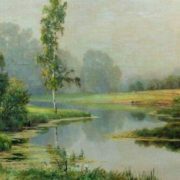 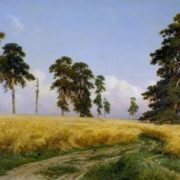 Painting View in the Environs of Dusseldorf brought Shishkin the title of academician, and in 1867 it was sent to the World Exhibition in Paris. 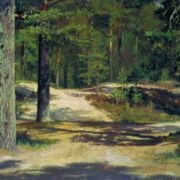 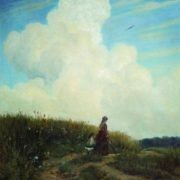 In 1870 Shishkin joined the founders of the largest association of masters of the realistic direction – the Association of Traveling Art Exhibitions. 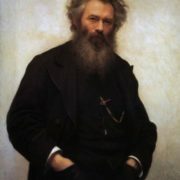 Until the end of his life Shishkin remained one of the most active and loyal members of the Association. 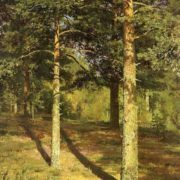 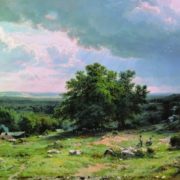 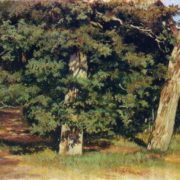 In the last decade of life, the artist perceived nature more penetratingly, subtly, the role of light in his paintings increased. 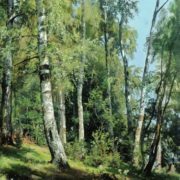 Apart from painting, Shishkin was also a master of drawing and engraving. 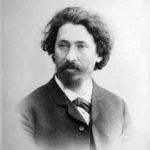 In 1891 more than 600 etudes and etchings were exhibited at the Academy. 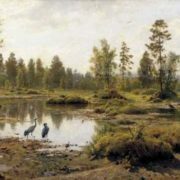 Death to the artist came unexpectedly. 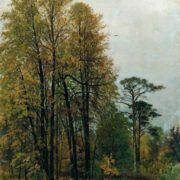 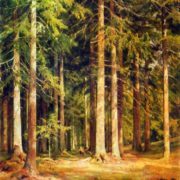 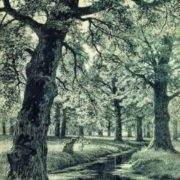 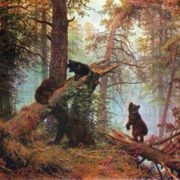 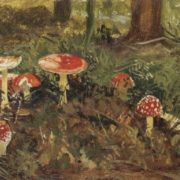 Ivan Ivanovich died on March 20, 1898, while working on the painting Forest Kingdom.